Posted in General Water Issues, Water Quality & Quantity, Well Water. Posted in General Water Issues. Performing good works, including helping customers, employees, the poor in our communities, and the environment will bring honor and respect for [fill in your name, business, job, or activity]. Posted in General Water Issues, On-site Waste Treatment. Posted in General Water Issues, Water Conservation, Water Quality & Quantity. Posted in 4-H Youth activities, Agricultural and Natural Resources, Family and Consumer Science issues, General Water Issues, Water Conservation, Water Quality & Quantity. On September 8th, I sent out a post that had the incorrect date for the Altamaha/Suwanee-Satilla Joint Water Council Meeting. 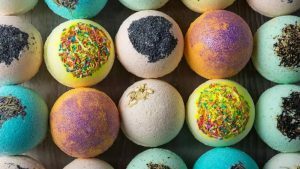 The correct date for the meeting is: September 20, 2018, at the Ben Hill Agricultural Pavilion in Fitzgerald, GA.
Do you like to use bath bombs? Do you have a septic tank? If you answer YES to both of these questions, this story will provide information on what could be happening in your home pipes and septic tanks.